The death toll is expected to rise this weekend in the aftermath of Hurricane Michael. 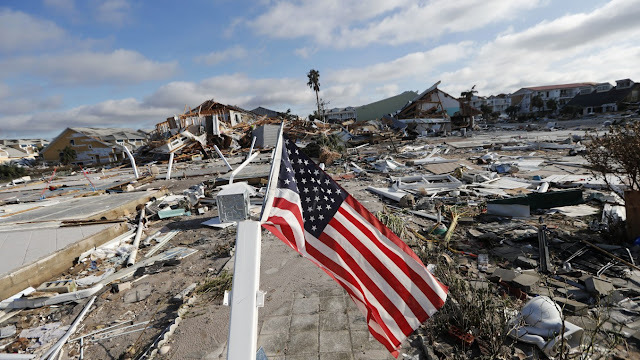 The storms occurred in the Florida Panhandle where it destroyed communities. On Saturday, state officials were reporting that at least 18 have been killed in Florida, Georgia, North Carolina and Virginia. Marchetti said his volunteer search teams, consisting mostly of off-duty police officers and firefighters, had rescued or accounted for 345 others previously reported to CrowdSourceMichael crashed ashore near Mexico Beach on Wednesday afternoon as one of the most powerful storms in U.S. history, with winds of up to 155 mph (250 kph). The storm pushed a wall of seawater inland, causing widespread flooding. The tropical storm, grew to a Category 4 hurricane. More than 1,700 search and rescue workers have been deployed, Governor Rick Scott's office said in a statement.